It may be ransom money needed for the safe release of a hostage. But what's the harm if you borrow a little? Your IOUs are as good as money! And when you are borrowing it for such a worthy cause, like buying a sweet new tuxedo to impress your soon-to-be girlfriend then it can't be that wrong. Right? 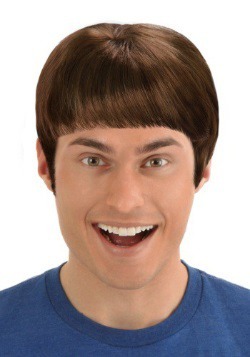 If none of that made sense, congratulations you are not Lloyd Christmas or Harry Dunne. But would you like to be? 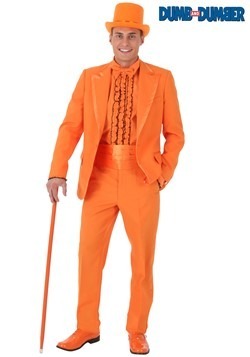 With one of our deluxe colored tuxedos, or a licensed Dumb and Dumber costume you can be! 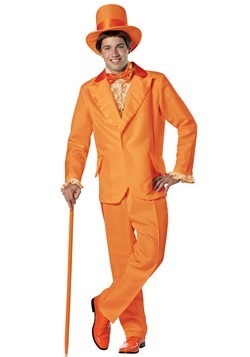 When you make your next appearance in a vintage style, orange or baby blue tuxedo you'll be a changed man (or woman). Are you trying to be dumb this year, or are you trying to be dumber? 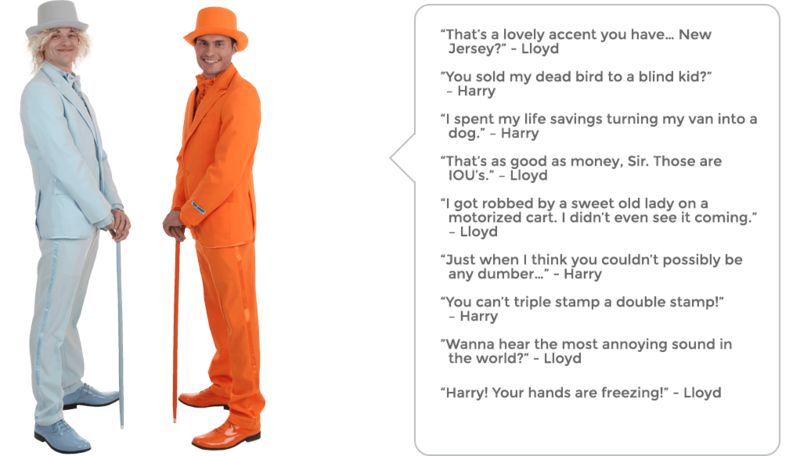 Harry and Lloyd are the perfect examples of how to do it and this guide is here to help you in your quest to be like the guys from the movie. From all the best poses for pictures, to what sort of witty (or not so witty) quotes you need to say, you'll find the beginning to your Dumb and Dumber experience here. It’s a story that’s as old as time: two best pals whose friendship is strained because they are in love with the same girl. Of course, not all of those stories include one of the pals selling Petey the (dead) parakeet to Billy, the blind kid in 4C, for convenience store cash… or even a briefcase full of I.O.U.’s. (“That’s as good as money, sir.”) Dumb and Dumber was a surprise hit at the box office, but Jim Carrey and Jeff Daniels’ memorable antics are what have engrained in our minds—which are why the flick’s also been made one of our favorite, meme-able cult classics. What are you waiting for? Jump into the Mutt Cutts van (aka “The Shaggin’ Wagon”) and let’s road trip to beautiful Aspen, California! But first, you’re going to have to get in character. 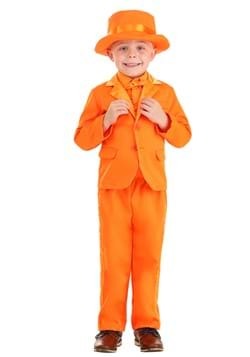 This handy guide will help you “put out the vibe” of a truly Dumb and Dumber experience. 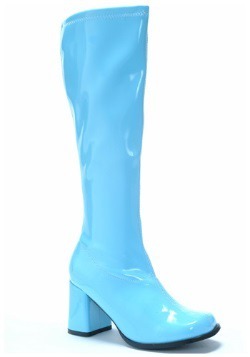 “Well come on, Cinderella, we’ve gotta get you ready for the ball!” Cue the “Pretty Woman” montage! If we’re being honest, Harry Dunne is marginally more intelligent than Lloyd… or at least he operates with a consciousness. 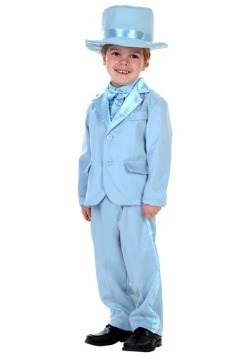 Maybe that’s why he chose the cool, ice blue suit. 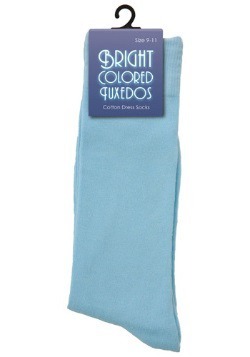 Sure, it’s a perfect match for Lloyd’s cut, but it offers a nostalgic throwback nod to sensational 70’s formalwear. Retro. Vintage. Did we mention that it’s also a hit with the ladies? It sure worked for Helen and Mary Swanson, anyway. 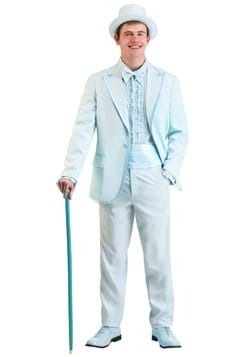 With hands on top of your cane, a pose reminiscent of Charlie Chaplin, and a completely clueless look on your face, you will embody everything it means to be an entrepreneurial worm farmer from Rhode Island. GOTCHA!!!! It’s Jim Carrey’s opening line in Dumb and Dumber To, and it’s also one of the most generated memes from the franchise. Jeff Daniels and Jim Carrey were perfect choices for their roles because of their talent with physical comedy. Face and body contortions of that magnitude serve up hilarity in their own right. “Gotcha” is a great photo pose because it shows just how hysterical you think YOU are. Cracking yourself up is likely going to engulf the entire room in fits of laughter… unless you’re laughing because you pretended to be catatonic and living in a mental institution for twenty years. That’s just weird. Running your fingers through your hair, giving a sly, come-hither stare, or getting into your signature booty stance – it’s all about “Putting Out the Vibe.” The key to recreating Lloyd’s non-verbal advance is to find a supportable surface in direct line of sight to your potential date. You are going to want something to hang on to, a little leverage, so that you can maintain balance while you give the girl a show! Just make sure your wingman doesn’t steal the spotlight. 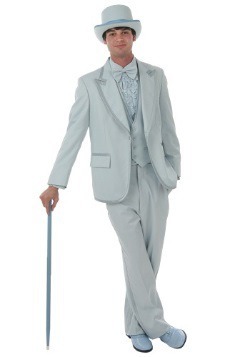 Ladies “love a man with a sense of humor” and flamboyant tuxedos have been known to tickle a few funny bones. Bacon and eggs, peanut butter and jelly, salt and pepper, Lloyd and Harry – some things are just better together. These goofy guys are like an inane version of The Wonder Twins because when their two powerful performances combine, total screwball comedy ensues! It’s not IMPERATIVE to be a duo this Halloween, but it is highly encouraged. Besides, in a cross-country road trip (“This is incredible. You mean to say you drove 2000 miles, just for me?”), isn’t the same without a co-pilot… even if they’re not so good with directions. Look below to find out how to make a synchronized impression at your next event. For Lloyd and Harry, their every day look is a no-brainer. A pair of jeans, a casual top (or the occasional cardigan), and a smart windbreaker jacket is all they need on an average adventure. Which is not to say that Lloyd and Harry can’t be classy. “We Can Be Classy” combines a clueless look with a unified front—all within the confines of their very unique choices in party attire. Survey the room and set your eyes on Mary. Man, there’s just something about Mary. Wait, didn’t the Farrelly Brothers direct that movie, too? Grand masters of ceremony material right here! 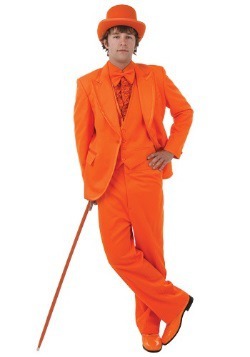 The “Dueling Canes” pose also creates an arch—an entry way to any of your Halloween festivities. Lloyd and Harry are popular in pictures no matter which event they attend, but when you raise your canes in silly solidarity, everyone is going to want to get in on the Dumb and Dumber photo-bomb action. Do you know where to find Dumb and Dumber cane props? 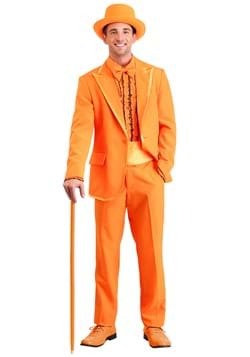 Right here at HalloweenCostumes.com—our exclusive designs, orange and blue, are a perfect match to the Lloyd and Harry tuxedo suits. “Our word is our bond… James Bond.” So far you’ve got the look, but do you have what it takes to sound like Lloyd and Harry? The best way to research for your Dumb and Dumber transformation is to watch the movie, as well as the sequel, Dumb and Dumber To. (Pro-Tip: Skip Dumb and Dumberer. You’ll thank us later.) Simply set aside three hours and forty-two minutes to become fully adept in their language of ludicrousness. You’ll come across memorable lines like, “Some people just aren’t cut out for life on the road,” “This is the life… cold beer, a hot tub and paper-thin walls,” and, “We don’t usually pick up hitchhikers, but I’m gonna go with my instincts on this one. Saddle up, partner!” Oh, you’re short on time? Our collection of Dumb and Dumber quotes is a great refresher—keeping your conversations on point all night long. “She is the love of my life! The blood in my veins! We belong together till the mountains fall into the sea! Till the heavens collide! Or until I get sick of her and need to move on. You hear me?” If you are going to traverse the USA in hope of finding “the one who got away,” you need to fully commit. This isn’t just another party that you’re crashing; it’s THE party where you will attempt to woo the woman of your dreams. A little extra effort goes a long way and she will definitely take notice. From top to toe, you’ll find all of the accessories and embellishments necessary to classify a disguise as the real deal. Best of all, you don’t have to search any place else—everything you need is found right here! Technically, this is a parrot and not a parakeet, we know. But just like Billy, it’s important to use your imagination sometimes. It’s a bird. It has feathers and a beak. If nothing else, it totally looks like it could be a parakeet’s cousin. Heck, both breeds even start with “P-A-R.” Still not close enough for your aviary taste? No problem! Petey was missing his head anyway. Lop it off and tote just the bird bod around. Better yet, add back any missing authenticity by adhering the chopped-off head with Scotch tape. Now you’re thinking like Lloyd! 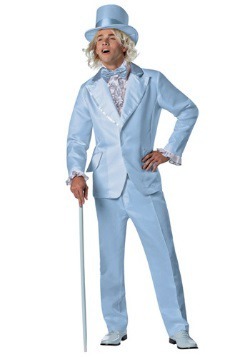 Most of the Dumb and Dumber costumes come complete with a ruffled tuxedo shirtfront that’s attached to the suit jacket. This allows you to achieve the look, but it doesn’t allow you to remove your jacket if it gets too warm at any time during the festivities. Well, you could, but it would definitely raise an eyebrow at the office. 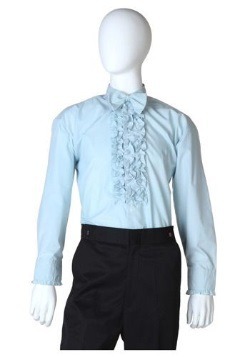 Our in-house costume design team created Lloyd and Harry ruffle tuxedo shirts that could keep you in character even if you tossed the sport coat to the side for a little bit. 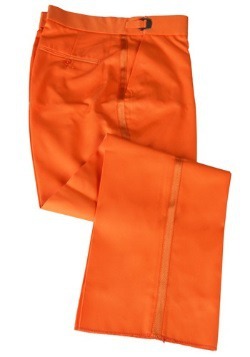 Blaze orange and powder blue—a winning color combination if there ever was one! 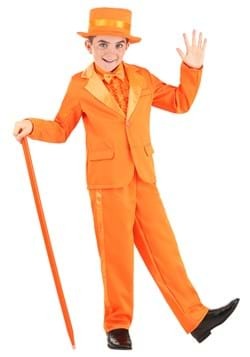 “Where do you find bright orange or baby blue tuxedo shoes?” This is the question that every Dumb and Dumber dresser-upper asks himself at some point in his journey. 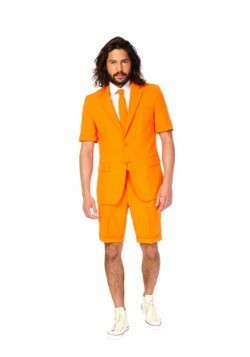 We scoured the ends of cyberspace, every nook and cranny of Men’s Warehouse, and we came up completely empty handed. Our findings were passed on to the HalloweenCostumes.com costume designers and they whipped up these patent babies! 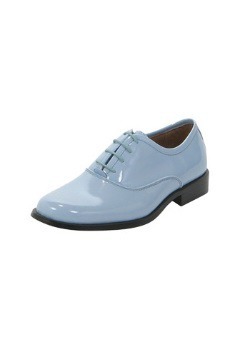 Featuring non-skid rubber soles, and classic lace-up styling, they are an awesome accompaniment to your suit. 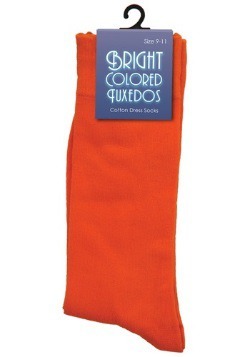 Q: Where do you find bright orange or baby blue tuxedo shoes? A: Right here, and only here! 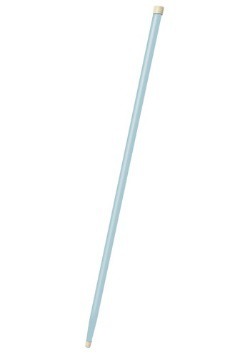 Ever hear the phrase, “the cane makes the man?” No? 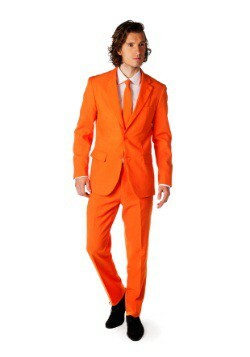 Well, it’s totally true in the case of Lloyd Christmas with his orange one, and Harry Dunne with his blue. The owl benefit scene was pivotal to the plot of the movie, and it also contained some of the best lines in the entire flick! 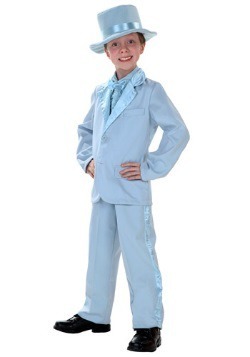 When you gear up for this much zaniness, it’s imperative to dress to impress. 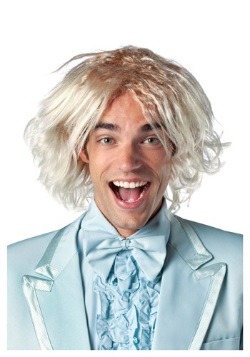 A full 3-piece suit, complete with cummerbund and ruffle shirt? Check! 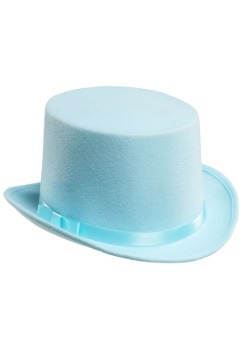 Felt top hat adorned with ribbon banding? Check! 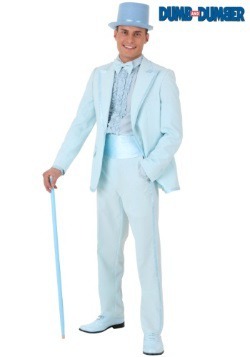 Perfect-match cane to channel your best Charlie Chaplin chops? CHECK!! Remember: Making a grand entrance is never complete without a few whacks to your partner-in-crime’s legs. 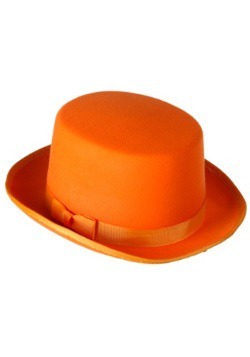 “All we need to do is show a little class, a little sophistication, and we’re in like a dirty shirt!” That’s exactly what our Dumb and Dumber orange and blue top hats do for your tuxedos. 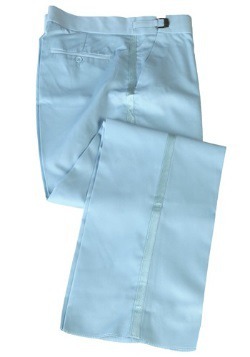 They bring class and sophistication to the ensemble. 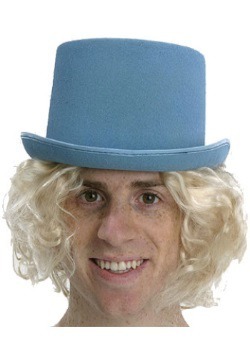 You don’t always see top hats in formalwear these days, but it is an extremely sharp component to an elegant look. 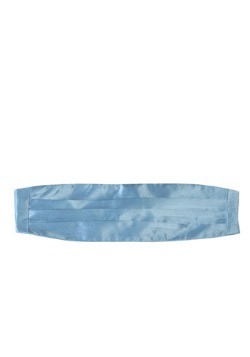 Polyester felt construction (with an elastic interior band to keep it firmly on your head during any shenanigans) and a formal ribbon adornment are the perfect dashes of polish for a look that’s already aces!